The Scholarly Commons at the University Library hosts undergraduate research journals for the University of Illinois at Urbana-Champaign campus. Equinox is the literary and arts magazine that is exclusive to the Campus Honors Program of the University of Illinois at Urbana-Champaign. It was created, organized, and published by Campus Honors Program students. The mission of Equinox is to share the artistic and creative talents of Campus Honors Program members. Its name, borrowed from astronomy, reflects this mission: the vernal and autumnal equinoxes are days of the year when day and night are seen equally. The duality of day and night reflects the balance between academic and artistic achievement among Campus Honors Program scholars. The Illini Journal of International Security (IJOIS) is a peer-reviewed undergraduate academic journal that is comprised of exceptional undergraduate and graduate papers on topics related to international security or foreign affairs. 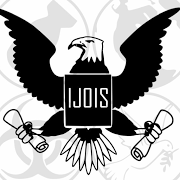 IJOIS is published biannually through the Program of Arms Control & Domestic and International Security (ACDIS) and the University Library. IJOIS employs a cross-disciplinary approach and accepts papers from students studying the social sciences, STEM fields, business and the humanities that analyze international security issues from innovative perspectives. The SourceLab Prototype Series catalogs experimental digital documentary editions produced by the SourceLab initiative. Entries are published periodically, as they are completed and reviewed. Once they are published here, these materials will assume a fixed, archival form that can be used and cited freely in teaching and research. The TRiO McNair Scholars Undergraduate Research Journal is the official publication of the Ronald E. McNair Scholars Program at the University of Illinois at Urbana-Champaign. The journal includes abstracts of the students’ final paper and represents combined efforts of students and their research mentors. The views expressed in the papers and abstracts are not intended to represent the views, beliefs, interests, values, or practices of the University of Illinois at Urbana-Champaign. The University of Illinois at Urbana-Champaign School of Social Work's annual publication, Journal of Undergraduate Social Work Research (JUSWR), showcases peer-reviewed undergraduate research from social work and related disciplines that contribute to the advancement of social and economic justice. i-ACES (inquiry-ACES) is a premier undergraduate research journal founded by the Academy of Teaching Excellence in the College of Agricultural, Consumer and Environmental Sciences (ACES) at the University of Illinois aimed to advance undergraduate research. Peer Review is an open-access, digital journal that publishes research-based articles and multimedia projects by current and recent undergraduates who participate in EUI-affiliated courses or students in non-EUI-related courses or programs of study whose research engages the university in a meaningful way. Re:Search: The Undergraduate Literary Criticism Journal at UIUC is an undergraduate produced, peer-reviewed online journal designed to annually publish works exclusively by undergraduate students. It seeks to create a venue for undergraduate students to showcase and publish literary criticism within a greater academic discourse while nurturing a collaborative community between faculty, administration, and undergraduate students.